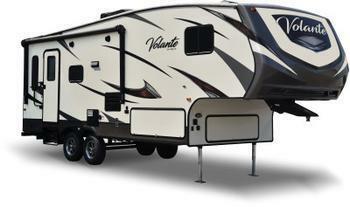 Keystone RV Company is recalling 270 model year 2018 Crossroads Cruiser and Volante recreational trailers. The vehicles may have been manufactured with propane gas detectors instead of a combination propane gas/carbon monoxide (CO) detector. Without a CO detector, occupants will not be alerted to high levels of carbon monoxide, increasing the risk injury or death. Keystone has notified owners, and dealers will install a CO detector, free of charge. The recall began on October 16, 2017. Owners may contact Keystone customer service at 1-855-226-7496. Keystone's number for this recall is 17-302.